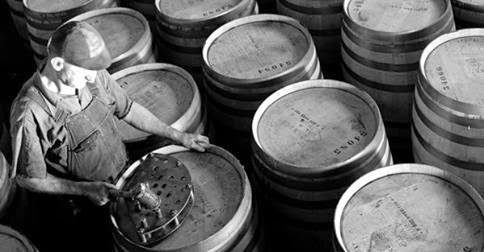 Kentucky Education Television (KET) in partnership with the The Louie B. Nunn Center for Oral History at the University of Kentucky Libraries and Kentucky Distillers' Association (KDA) have released a one hour documentary titled Kentucky Bourbon Tales: Distilling the Family Business. The documentary is streamed here and is quite informative. It captures an oral history of several of the leading families in the Kentucky bourbon industry as well as documenting the entire whiskey process. These families include the Beams at The Jim Beam® Distillery and Heaven Hill Distilleries; the Russells at Wild Turkey; the Samuels at Maker's Mark Distillery; the players behind the Brown-Forman Early Times Distillery; Master Distiller Jim Rutledge at Four Roses Distillery; and Master Distiller William Pratt at Michter’s Distillery, LLC. You will also need to read this critique by Chuck Cowdery on a few major missing players: Sazerac's Buffalo Trace, Pappy Van Winkle﻿, & Elmer T. Lee﻿. Regardless, the documentary is highly recommended for those interested in all things bourbon. Update: The Buffalo Trace Oral History Project includes several videos of the families not included in the KET video also hosted through the The Louie B. Nunn Center for Oral History at the University of Kentucky Libraries. Angel's Envy - Is Bourbon Aged in Port Casks Still Legally Bourbon? 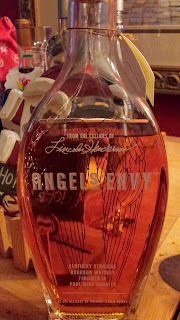 I recently received a bottle of the Angel's Envy Kentucky Straight Bourbon Port Finish - which is almost as nice as their Cask Strength. For those unfamiliar with the brand, it was started by the late Master Distiller Lincoln Henderson and his son Wes. Henderson helped develop several major bourbon brands such as Woodford Reserve, Jack Daniel's Gentleman Jack, and Jack Daniel's Single Barrel and is an inaugural member of the Kentucky Bourbon Hall of Fame. Angel’s Envy Kentucky Straight Bourbon is produced using the legal requirements for Bourbon - over 51% corn, aged in new charred American Oak, as well as meeting a few proof requirements. It is entitled to be labeled Straight since it has aged more than four years, in this case at least six years. But then the whiskey is aged between three to six months in used 60-gallon ruby port barrels made from French oak. The result is a complex whiskey: vanilla, toasty honey, candied citrus, and plenty of nutty character. But, with this final finish - can the product be legally labeled a Bourbon? Any ideas out there? The last two weeks of #WineChat featured a discussion of the Wines of Southwest France - "a lush, hilly wine region that occupies the corner bordered by the Atlantic Ocean on the west, and Spain and the Pyrenees Mountains on the south. The region is home to a string of more than two dozen winemaking appellations whose producers are united by a passion for place. Some of the world’s great grape varieties originated here and many of the area’s lesser-known varieties are grown nowhere else." One wine grape that originated there was Malbec, specifically from the sub-region of Cahors; another Negrette, from Fronton. For the second week I was sent samples of each from Chambers Street, the Cosse Maisonneuve 2009 Cahors Le Combal (13.5% ABV, $19.99) and Colombière 2010 Fronton Bellouguet (13.5% ABV, $15.99). Cahors, is located due north of Toulouse, and the birthplace of the Malbec grape and is known locally as Cot or Auxerrois. AOC regulations in Cahors stipulates that Malbec must comprise at least 70% of all blends with Merlot and Tannat rounding out the rest. 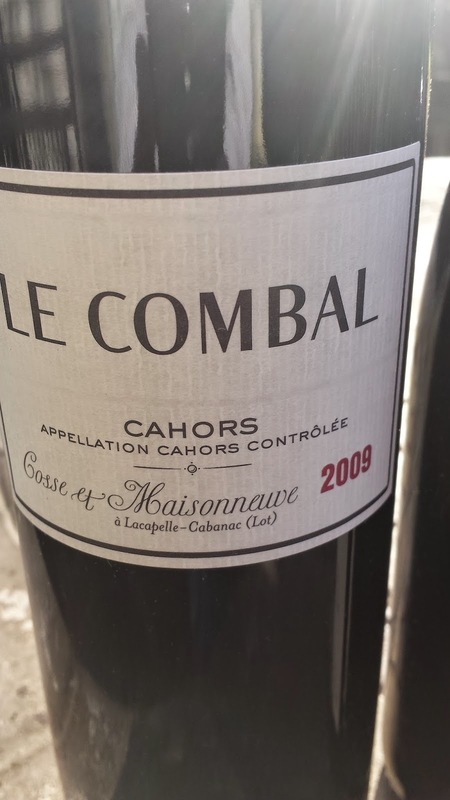 These are black wines, dark and chewy as perfected illustrated by the Cosse Maisonneuve 2009 Cahors Le Combal. This is a fantastic wine, cassis and stewed plum on the aroma, with deep chewy tannins. And I mean chewy and made from organic grapes. Fronton is also located north of Toulouse, just not as far north and is home to Négrette, where at least 40% must be included in a final blend. Cabernet Sauvignon, Cabernet Franc, Syrah, Malbec, Fer and Gamay are the other grapes permitted. 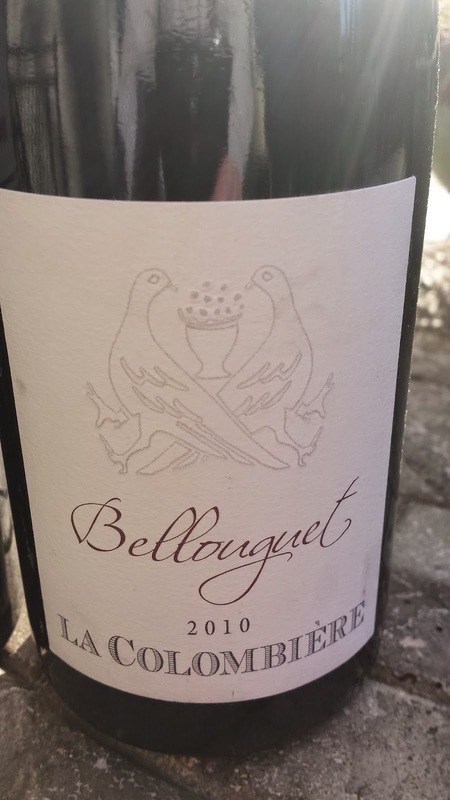 The Colombière 2010 Fronton Bellouguet is a funky wine, where the aroma is sweet anise - very gin like - followed by dark fruit flavors with a nice transition into a juicy tannic finish. Another fantastic wine. This is one wine region I'll continue to explore. Cheers. Who Makes Trader Joe's La Ferme Julien? 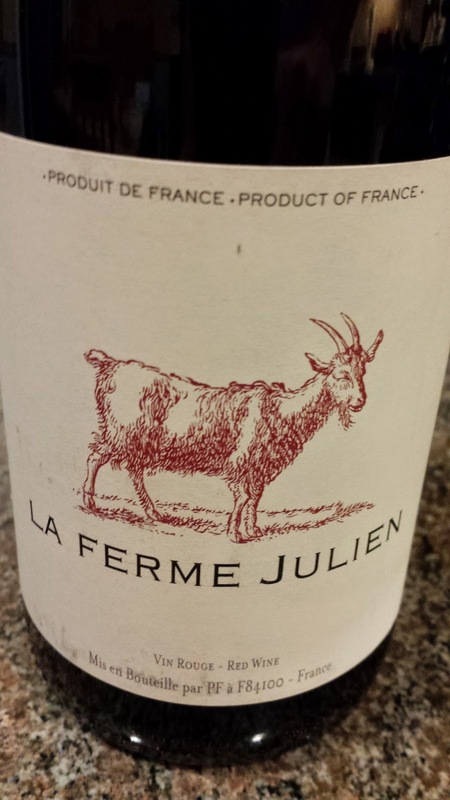 You may have seen two La Ferme Julien wines on sale at Trader Joe's at the enticing price of $5.99. At that price I purchased one of each and went home to research. The wines are produced by Famille Perrin, the same family that owns the famous Château de Beaucastel that produces Châteauneuf-du-Pape in southern Rhône. You may be familiar with estate since it is the co founder with Robert Haas of Paso Robles' Tablas Creek Vineyard. In 1978 Jean Pierre Perrin and François Perrin took over management of the estate from their father Jacques Perrin and soon introduced La Vieille Ferme - an inexpensive Côtes du Rhône - that quickly became very popular. Look for the chicken on the label. Trade Joe's recognized this trend and contracted with Famille Perrin to create a private label version - the goat version. The two wines are blends of four southern Rhône varieties. 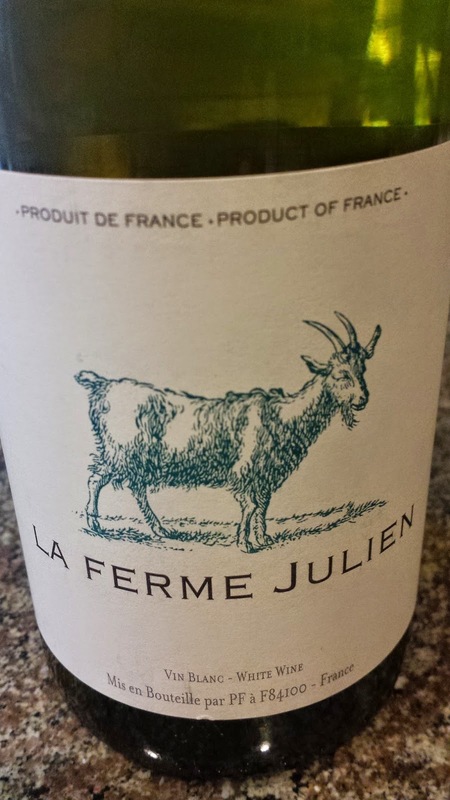 The grapes for the La Ferme Julien Blanc are sourced from the Côtes du Luberon and consist of Bourboulenc, Grenache Blanc, Ugni Blanc, and Vermentino. Not exactly your household names. The wine starts with stone fruit aromas, leading to a citric flavor - both lemon and grapefruit. It starts nicely, but then falls flat at the finish because of a lack in acids and vibrancy. The La Ferme Julien Rouge is comprised of Grenache, Syrah, Carignan, Cinsault sourced from the Côtes de Ventoux. Both Ventoux and Luberon are located in the extremely southeast region of the Rhône leading to Provence. This is a simple wine, the term "rustic" is used quite often as a descriptor, and is very easy on the palette. Nothing exciting about either wine, but at $6, you get what you pay for. 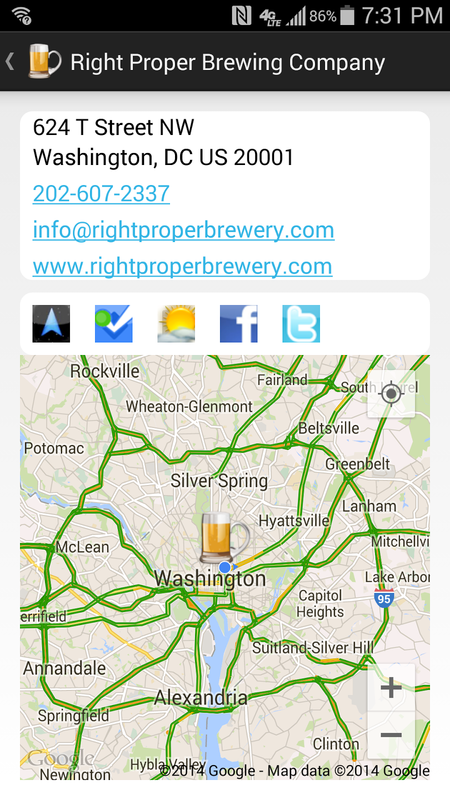 Planning for a night out at the 930 Club, DC9, or Howard Theatre in Washington DC's Shaw neighborhood? 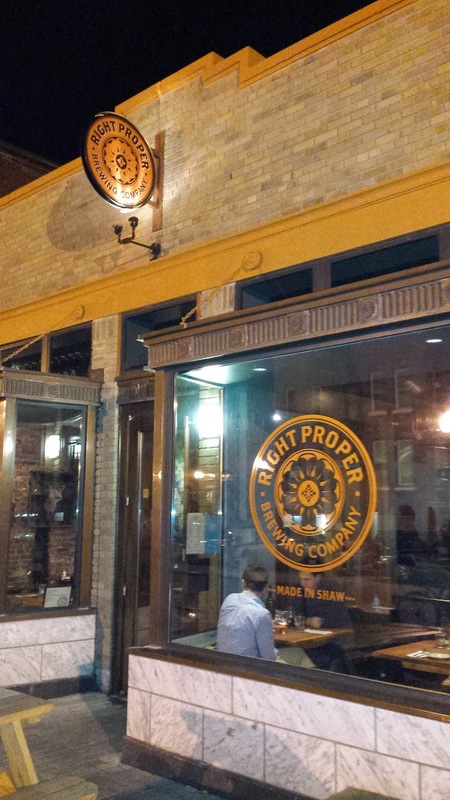 Then head out a little early to sample some delicious beer and food from Right Proper Brewing Company. This past week before attending Centro-matic's farewell tour at DC9, I stopped in for dinner and a couple beers. The beauty of these beers start with their low ABV levels; no one wants too much alcohol before watching a show. Or maybe so. In any case, despite these low ABVs, the beer are diverse and flavorful. 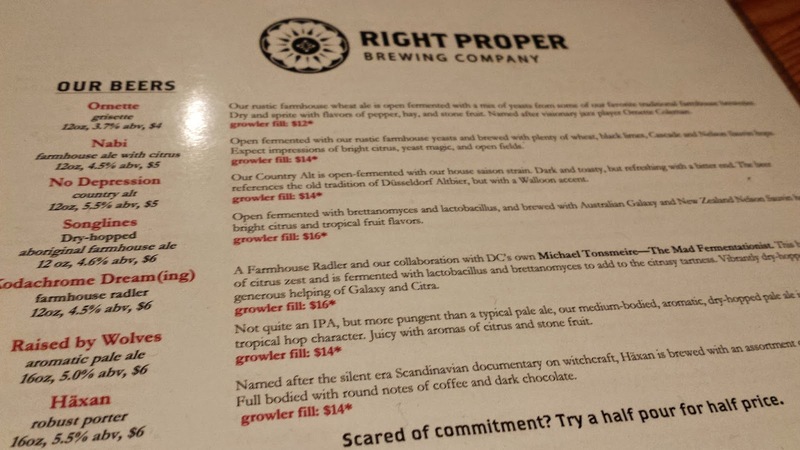 I started with the farmhouse radler Kodachrome Dream(ing) - a sour tart, creamy, and citrus collaboration with Michael Tonsmeire - The Mad Fermentationist. Love the sours.Being an Uncle Tupelo and alt-country fan, I had to order the No Depression country alt - a solid offering. I need this in the can for road trips. I had time for one more which had to be the Haxan porter - a dark chocolate, creamy, slightly bitter treat. A versatile beer - breakfast or dessert. There's plenty of good music on the horizon so I envision many return visits to Right Proper. Cheers. Need directions? Check out theCompass. This spring, I was reintroduced to the smoky peat flavor of Laphroaig Scotch Whisky at the Food & Wine Festival at National Harbor and have settled into a long term relationship. At that time I sampled from their Quarter Cask and Triple Wood, both with distinct and varying degrees of smoke, sweetness, and spice. These two whiskies follow the same production and maturation process. After the malt is smoked with dried peat, mashed and distilled, the whisky starts aging in American Oak (retired Bourbon barrels). The second maturation occurs in even smaller Quarter Casks. At this point, the whiskey bound for the Triple Wood undergoes a final maturation in large European Oak Oloroso Sherry Casks. The Quarter Cask is very Laphroag-ish with plenty of iodine and smoked peat, even some seaweed, on the nose and body. And the maturation process induces some major vanilla and sticky honey which is more evident with a few drops of water. On the other hand, the Triple Wood is a different Beast. The Oloroso Sherry Casks tones down the iodine and peat with even more smoky, syrupy, and nutty vanilla honey. The peat comes back slightly with water, but the Triple Wood is all about the wood: nuts, vanilla, and honey. Initially I favored the Quarter Cask, but lately I'm all about the Triple Wood and its smoky jam. And this Christmas I'll be looking to add some more square footage to my lifetime lease on Islay. Cheers.